Daryl Johnson (Worcester Park, United Kingdom) on 5 March 2014 in Architecture. I like this kind of construction, especially when it is blue tiled! We have several in the neighbourhood (our "inaka")...but the windows are covered with curtains. 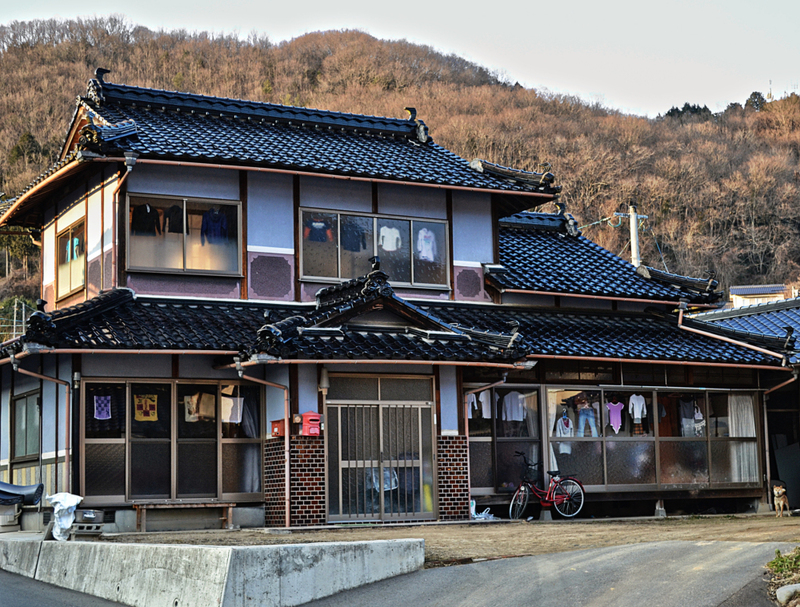 This must be "do-inaka", so people just make use of the house as it comes! I assume it is a new building for a large family! @Japanalia: I think you're right Gabriela, certainly a few children. A lovely house. I like seeing the pretty Shiba Inu watching you. @Steve Rice: He was very protective, as shiba always are, barking away at me as I walked past. I really like this architecture! Very nice capture Daryl.